Like it or not, the passing of Halloween means that we are now racing toward the holidays. There are a handful of calendar events that each contribute billions to US retail sales throughout the year and—equally as important—prompt shopper excitement and so drive traffic into stores. But other than the back-to-school and back-to-college shopping period, none of these calendar events comes close to the winter holidays. This year, we expect American shoppers to spend about $114 billion on holiday gifts, food and treats in the final two months of the year. 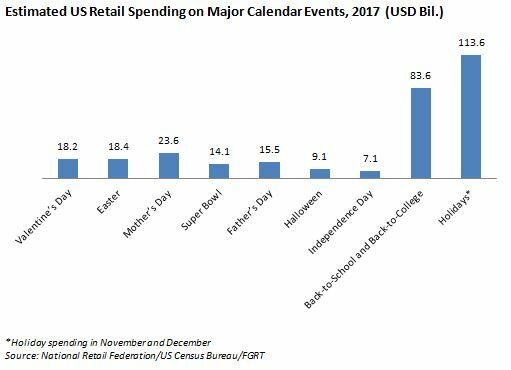 The graph below shows how the major calendar events of this year, from Valentine’s Day to the winter holidays, shaped up (or are forecast to shape up) for US retailers. The next major event on the calendars of retail analysts and consumers is Black Friday. It falls early this year, on November 24, but that will not be the only factor pulling holiday spending forward this year. We expect to see more retailers seek to preempt the competition by starting promotions earlier this year, including Black Friday promotions. Last year, online coupon firm RetailMeNot found that the average holiday offer began nearly five days before Thanksgiving. According to the firm’s survey data, nearly 80% of retailers will begin holiday marketing efforts earlier this year than they did last year, and RetailMeNot expects that the Thanksgiving–Cyber Monday shopping weekend will stretch into two full weeks of promotions. Similarly, news site BlackFriday.com is forecasting that retailers will launch early Black Friday sales this year, and it points out that Amazon’s Countdown to Black Friday began on November 1 last year. 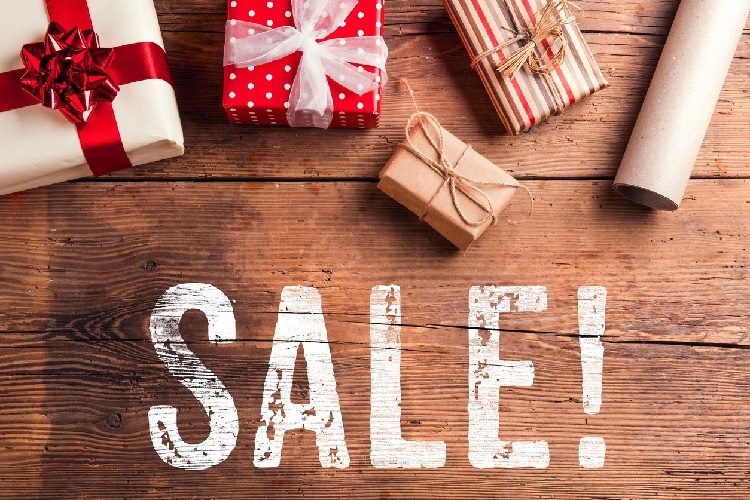 Pulling forward holiday deals further compounds the discounting spiral that has conditioned shoppers to expect to buy on sale and forced retailers to outflank each other on the depth or timing of promotions. US retail is abuzz with chatter about store closures and the need for some brick-and-mortar stores to downsize their estates, but retailers must find a way out of the discounting spiral, too, in order to rebuild equity in their brands and integrity in their pricing. Amazon Shopping List: Books, DVDs, Clothing, Groceries…and Prescription Medications?